FUN, FITNESS AND MARTIAL ARTS! Columbia Martial Arts Center has been offering instruction and training in Wing Chun Kung Fu since 1998. Located in Columbia, MD,, C.M.A.C. has produced champions in life as well as in the martial arts. Headed by a staff of expert instructors and managers, Columbia Martial Arts Center offers a number of programs for physical fitness and instruction in martial arts training. Train with our quality Coaches. Our Instructors have spent years devoted to training in the art of Traditional Wing Chun and other martial arts and have attained a certain level of expertise to qualify them as Assistant Instructors, Coaches and also Mentors. Through testing, certification and tournament level competition, our staff has attained a competent understanding and proficiency in martial arts and now enjoy sharing their skill and passing it on to other students. © 2017 Columbia Martial Arts Center All Rights Reserved. 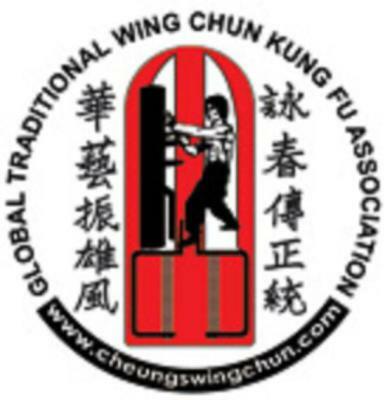 Traditional Wing Chun Kung fu instruction covering all aspects of Wing Chun skill development as well as the cultivation of character, energy and spirit. Beginner to Instructor levels are taught as well as sparring,attribute & skill development, forms, chi-sao & contact reflex training, wooden dummy,dragon pole,butterfly swords,iron palm, Qi gung, meditation, meridian therapy,combat training and impact training, practical self defense applications, competition applications & training methods.,etc) Participation in regional, national & international competitions available) China Tour every two years. Athletic skills (and ability) are important part of the martial arts training process when learning to defend oneself. Without a good level of basic fitness, the ordinary individual may struggle to defend themselves in a given confrontation. Rather, to effectively apply a given martial art, we believe that physical conditioning will help.Our fitness and conditioning classes are open to individuals of any fitness ability or physical condition. The classes are intended to improve cardio vascular fitness and endurance of the practitioner. We employ various tried and tested martial arts and boxing methods to develop your fitness and conditioning and these include: Resistance Band training, Medicine Ball training or strength and stability,Ply-metric training for dynamic martial arts, movement, Muscular endurance training Core Strength training program Flexibility and Dynamic, stretching, You will loose weight, be fit, and feel good, and more importantly you should have enough endurance to defend yourself. Being able to train directly ,one on one with your teacher or coach can be an invaluable experience. Allowing you greater insight into the subtleties and nuances of the art. Information is absorbed quickly without the potential distractions of a group setting, and is customized to your individual needs. A must for anyone with an irregular schedule, Is uncomfortable in group settings, or wishes to eventually teach or become an instructor of the art. Sparring aides in teaching the student the timing needed in a fluid and constantly changing environment against non co-operative opponents. It can also develop the students confidence and willingness to engage an opponent in competition. Sparring, if approached correctly, can crystallize for a student what type of energy and techniques are best suited for competition and that which are not. The student learns how to apply the concepts and strategies of his system and express them in a non-lethal way . Thus he learns how to adapt and modify his approach to fit the opponent and environment that he is in. Sparring is a extremely valuable tool for real martial skill development BUT ONLY if approached and understood in the right context of what it is and what it is not. The students safety MUST be the primary concern when sparring. Thus, all sparring classes will be supervised with experienced trainers and done with protective gear to ensure the proper learning environment and martial ethic.